Knowing what is happening, what has been published on the Internet, about subjects that matter to you and your customers. Understanding the world you’re working in. We’re offering smart access to genuine relevant information! Google is not bringing you there. It’s guiding you, and gives you adverts. BuzzCovery brings you the correct information and context. BuzzCovery has been designed around the most important business questions you can ask: Who, What, Where and When. Discover relevant trends and make decisions based on real insights. BuzzCovery works simple. Just type a keyword and BuzzCovery finds all publications, internationally, where this keyword appears. From this starting point onwards, you can zoom in via smart categories to the real relevant data that guides you to the surprising insights you are looking for. For less then 10 euros per month you will get all relevant insights. Knowing in an instant what the impact of a publication is, thus knowing what's on people's mind and knowing what to do. Always on par about what has been published about you, your organization, your competitors, your business branch and your customers. The insight obtained is your guide for the future. Advanced artificial intelligence has been applied to sort the publications in such a way that the important questions Who, What, Where and When are crystal clear. This results in pinpointed information that is used to make better decisions. For the more in-depth analyses, Byelex developed a Professional version of BuzzCovery. For the in-depth analyses and the management of the media insights, Byelex developed a Professional version of BuzzCovery. This version is well suited for marketing PR and communication departments and professionals. The Professional version helps them in analyzing impact values on publications, benchmarking of the competition, calculating the share of voice and exporting the data for import in other systems. What do you get in the professional version? You can analyze the data even deeper via excel, or import the data in other systems. In order to analyze the position of your brand, company or product in the market. Once you have created the perfect search, you can always re-use it easily by saving it. You can start analyzing from 2012 onwards. Ensures that you are always up-to-date. Knowing when Sentiment volumes started to change is very easy to observe when studying this graph. 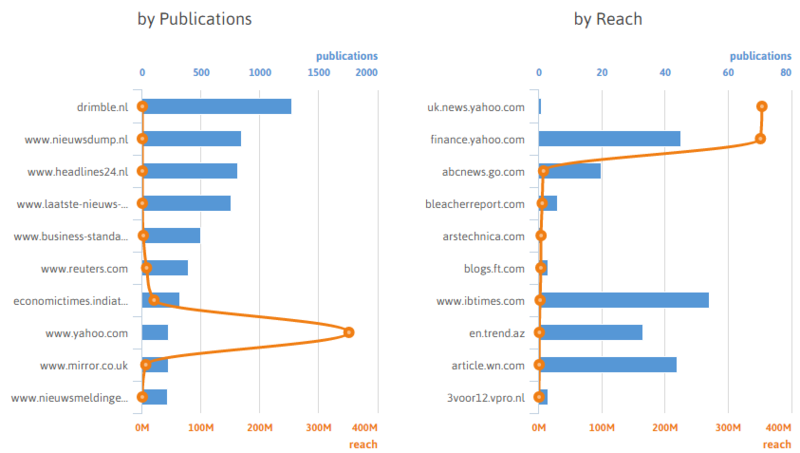 It shows the publications over time, either based by amount of publications, but also based on impact value. 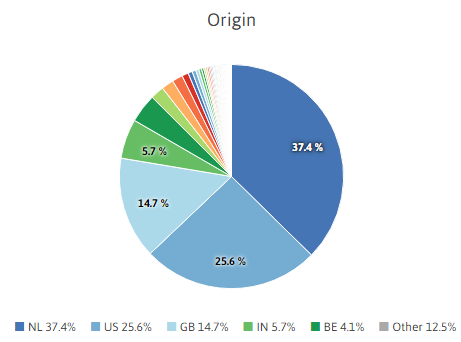 The pie charts are showing an overview on three main categories; Origin, Language and Publication type. You can easily filter your results by clicking on the chart pieces you want to single out. 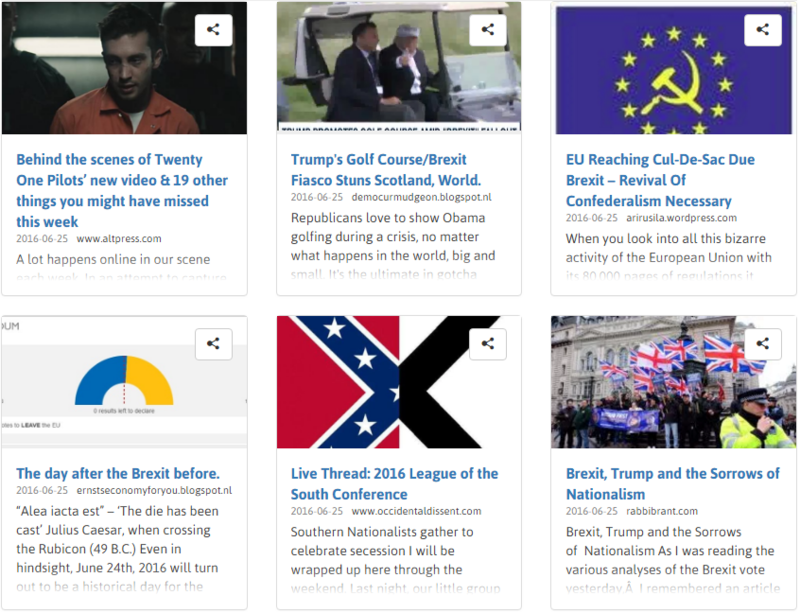 The publications found by BuzzCovery are shown here in such a way that you can scroll through them. If your eye catches something of interest, you can immediately open the article, translated, if needed, to English. You can also publish the article directly to your Social Media Channels. All results are analyzed by advanced Artificial Intelligence routines to extract all relevant Meta information from each article. 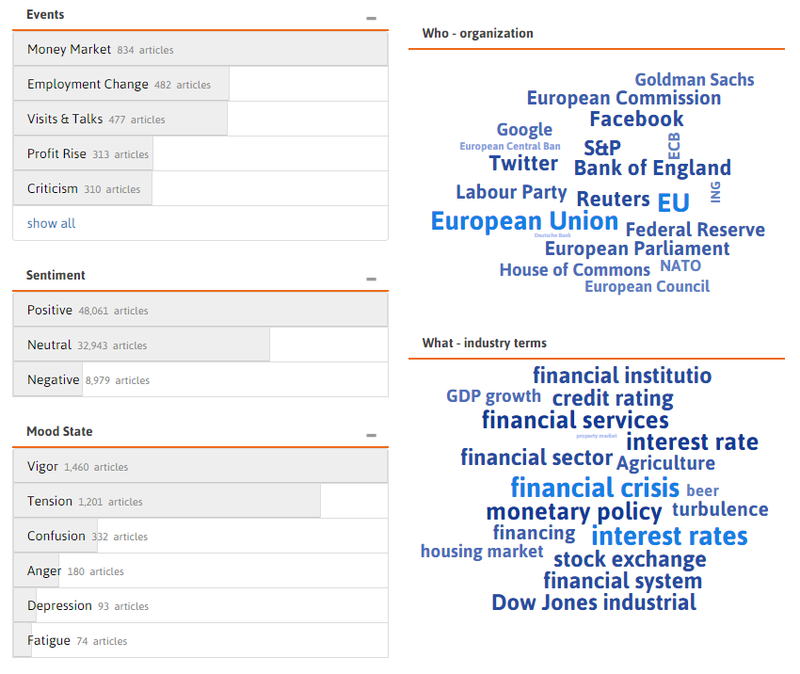 If you combine these Meta Tags with the main graph hand the other pie diagrams, you will get an interesting picture on subject economic activities, sentiments, mood states and various other insights. All Meta Tags can also be used to filter the data even more. Who is writing the most on the subject you are interested in, and what is the influence of these sources? 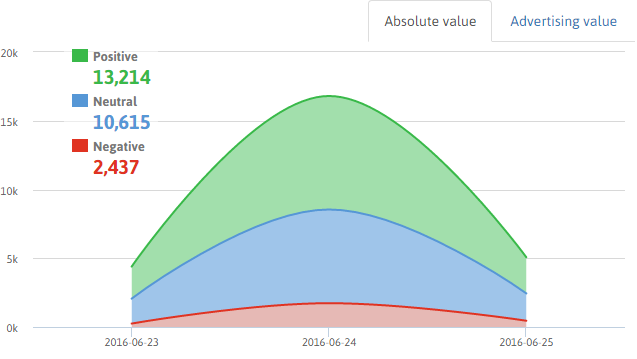 We are not just measuring volume, but also the amount of eyeballs a publication received. Do you want to end the exposure to useless information? Do you want your relevant business information presented in one screen, every moment of the day? Go use BuzzCovery. It is free for the first month. Curious? Ready to have BuzzCovery work for you? You can get started and register an account right away. Should you still want to contact us first, send us an email and we will get back to you as soon as possible!